Upserve recently launched Upserve Marketplace, a single hub for unifying a wide array of technology solutions with a single management platform. Encompassing a range of restaurant needs — staffing, inventory, accounting and more — the marketplace launched with more than a dozen industry leader partners. Current integration partners include Square Capital, Homebase, Bevager, PeachWorks, Restaurant365, 7Shifts, Dolce, Shogo, Better Chains, Compeat, Orca, The Customer Connection and TrustWave. 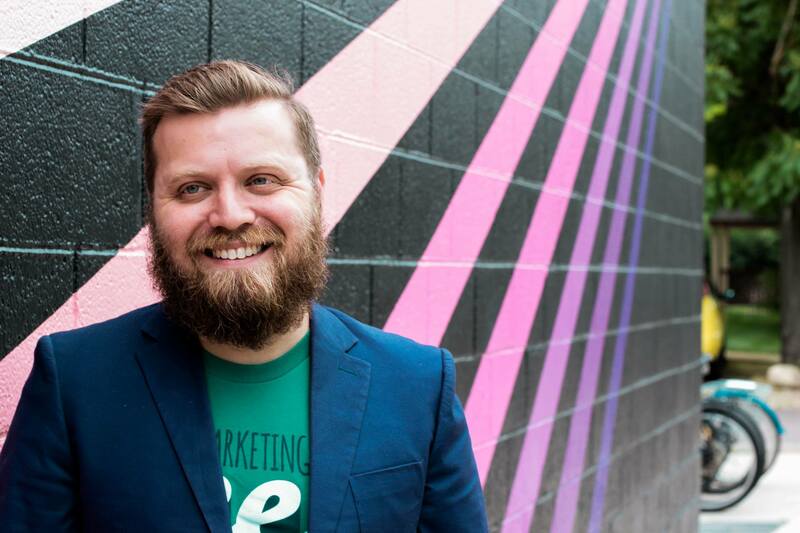 Modern Restaurant Management magazine quizzed Jesse Noyes, Senior Director of Marketing at Upserve, about opportunities the marketplace structure offers for guests and participating companies, restaurant technology and data. What was the impetus behind forming a marketplace? Restaurants want their apps and data to work together seamlessly, similar to how their waitstaff and kitchen do different things but work together to deliver outstanding hospitality. Making this happen inside the restaurant, however, has been anything but easy. Legacy technologies operate on islands. The point of sale doesn’t talk to the reservations system, the inventory management doesn’t speak to the accounting software – it’s all messy. But it also doesn’t have to be this way. We envisioned Upserve Marketplace as a one-stop shop for connecting the different apps the restaurant uses in a single management platform. The benefits are easier management plus all the rich insights unlocked from having the data connect. What advantages does a marketplace offer to restaurants? We think of it like mise en place for restaurant tech. Everything operates in its place and shifts run smoother as a result. Focus is money in the restaurant industry, so integrations that make the use of technology faster and easier means more focus on the guest. We want to put time back in the day for restaurateurs with our platform. Upserve Marketplace is another step forward in accomplishing that mission. Another advantage is the data you get. Restaurants capture an immense amount of data from payments, point of sale, and the other systems they use. But, until recently, that was all locked away in those systems. You couldn’t really get at it, much less break it down into digestible insights you can take action on. Establishing these integrations means we’re unlocking even more valuable data for restaurant owners and operators, then making it easy to understand with our restaurant analytics. How does the marketplace structure benefit the partners? The more customers use your product, the greater the value they see from it. 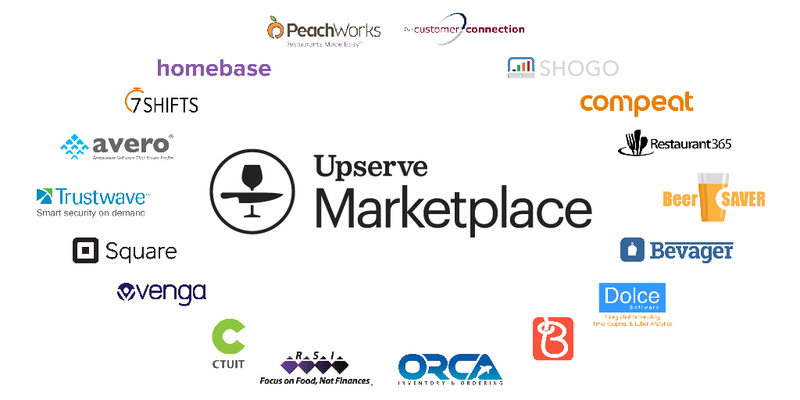 By joining Upserve Marketplace, partners are improving the experience for their customers. That results in the customer using their products more effectively and efficiently. Stickiness is something every partner is after, and integrating with Upserve’s platform is another way to make products stickier. Explain the the process of assembling the partners. We looked at the landscape of apps restaurants rely on and looked to bring them together in Upserve Marketplace. Our goal is to cover every need in a single place and provide multiple options for restaurants when it comes to selecting vendors. We have more than a dozen current partners covering a range of categories — inventory, scheduling, payroll, etc. — and we’re adding more, continuously. It’s an ongoing process and we’re excited to continue to build it for our customers. It’s been a year since the name change from Swipely, how do you feel the name Upserve better “serves” the company mission? We’ve received a lot of positive feedback since making the brand change. Upserve reflects not only the industry we’re in, but the aspirations our customers strive for. Restaurants are all about hospitality. They want to provide their guests a unique, delicious, remarkable experience. Obviously, technology plays a role in that. Restaurants need to process payments, they need a point of sale. But increasingly restaurant analytics are a rising need. When you can see in a glance what’s working and what’s not — not only top selling items or top performing team members, but what’s bringing customers back and why certain servers bring in higher tickets — the easier it is to deliver that hospitality. The name Upserve is, we think, reflective of this desire. And it’s not just fine dining, either. I look at Zoup!, for instance. Richard Simtob is the president and co-owner of that fast casual concept, and they have 100 locations. Richard is focused on driving repeat business and understanding which locations excel at bringing guests back. He recently broke down how he uses restaurant analytics to go through each location and make needed changes or improvements. This is the full platform we bring our customers that are enabling them to upserve their guests. What do you think the restaurant of the future will look like? Restaurants have longstanding routines that are unlikely to change in the near future, and in many cases shouldn’t. Restaurants are centered around food, of course. That’s not going to change. But if there are two shifts I do see in the offing it’s how consumer devices are brought into the restaurant and how owners and operators harness data. The use of devices like iPads are already transforming the point of sale industry. We’re still at the beginning of that wave. These are more intuitive, faster and shorten the learning curve for new staff. Increasingly, they’ll float around the floor and be brought to the table. Our customer, Bitter & Twisted in Phoenix, is a great example of bringing payments and point of sale tableside while maintaining that classic cocktail vibe. The analytics will be a major change that you won’t necessarily notice from a guest perspective, but will definitely impact that guest experience. We’ll see restaurants taking all that data captured by payments and point of sale, and using it to address gaps, coach servers and recognize guest behaviors and preferences. Restaurant owners want this analysis, but don’t usually have hours to spend on POS reports to try and get at it. Restaurant analytics solves that problem. Similar to my predictions for the industry, the rise of consumer devices as the point of sale and the growth of restaurant analytics is already making the industry more productive and efficient. The devices are easier to use, modify and put into action. That right there saves you time, and ultimately, money. The analytics help peel back the layers of hospitality so the restaurant can understand which levers to pull and which buttons to push to eliminate waste, free up time and reveal the small steps that boost margins. That’s the best thing about the analytics, they add time back in the day for the restaurateur while adding more value. What trends are you seeing from diners in what they expect from technology and restaurants? Once restaurant owners and operators experience the technology, they realize it enhances rather than detracts from the experience they’ve created. We talk about this a lot at Upserve, that we “design never to distract.” Restaurateurs are trying to evoke a mood, vibe or feeling. The technology shouldn’t steal the show. Old legacy point of sale systems, for instance, take up a lot of room and try to force the restaurant into their way of thinking. At Upserve, we go into everything thinking about how the restaurant wants to run. An example of this is how mobile our products are. We want to free managers from the back office so we’ve created Upserve Live, the mobile app, so they can track what’s happening in their restaurant without having to get on a terminal or back office computer. Once you’ve experienced this, it’s hard to imagine operating without it. In what ways can independent restaurants, who might have less resources, use technology to their advantage? There are multiple ways, but restaurant analytics is huge. If you run three or five or ten regional locations, you probably can’t afford a full-time quant to run through spreadsheets like a big chain. But you have the data. It’s there, it’s just been locked away in your payments processor or deep inside your POS reports. The analytics surfaces all of that up without manual manipulation so you can see trends as they happen and respond. Technology is creating an equal playing field. Upserve has a robust social media presence–how important is that for tech companies and Upserve in particular? Social is equal to search now. People expect to find you in social channels, and to respond through those channels. Tech companies are no exception. We know people will find us on Facebook and on Twitter, and we need to be there with valuable content, insights or a listening ear. We’re still building out our social strategy. It’s always evolving. But our tack is not to be everywhere or on the latest fad, but where we can provide the most value to our customers.